Threatened by sharp cuts in state government support and stagnant federal research funding, US public research universities are becoming fragile ecosystems. 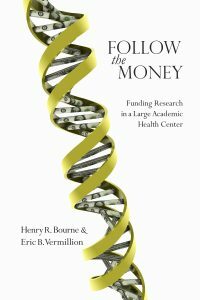 By charting flows of research dollars through a leading public research university—the University of California, San Francisco (UCSF)—this book illuminates how such schools work to cope with these funding threats and how the challenges and coping strategies affect organization and direction of research. Academic leaders, faculty, administrators, and students will learn how a complex academic health center manages its revenues, expenses, and diverse academic cultures. For the first time, they can begin to understand arcane mysteries of indirect cost recovery, sponsored funds, capital investment, endowments, debt, and researchers’ salaries.